Click on the banner above to go to the JFK homepage at the University of Virginia's Miller Center. 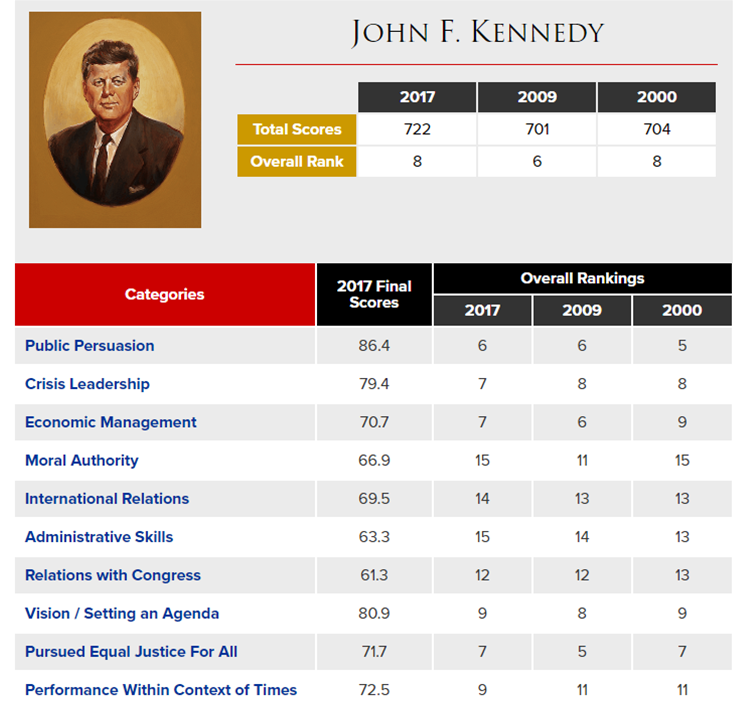 Click on the buttons below for in-depth information about JFK's Presidency. JFK is the only President to win a Pulitzer Prize, which he received for his biography Profiles in Courage. In September 1941, after medical disqualification by the U.S. Army for his chronic lower back problems, JFK joined the U.S. Navy. 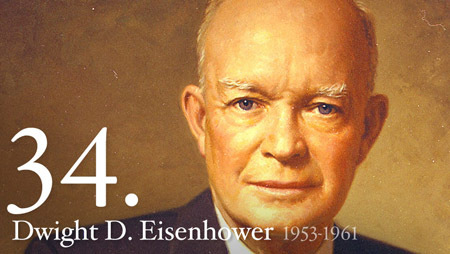 (He was the first President to serve in the Navy.) On August 2, 1943, Kennedy's boat, PT-109, was performing nighttime patrols near New Georgia in the Solomon Islands when it was rammed by the Japanese destroyer Amagiri. After the PT-109 sank JFK and his men swam towards a small island. Despite re-injuring his back during the collision, JFK towed a badly burned crewman through the water with a life jacket strap clenched between his teeth. He towed the wounded man to the island, and later to a second island, from where his crew was subsequently rescued. For these actions, he received the Navy and Marine Corps Medal. (This is the highest non-combat medal awarded for heroism by the U.S. Navy.) After receiving treatment for his back injury, he was released from active duty in late 1944 and honorably discharged in 1945, just before Japan's surrender in World War II. On September 26, 1960, JFK and Vice President Richard Nixon participated in the first televised Presidential debate. Nixon looked nervous, pale, and sweaty. Meanwhile, JFK was tan and came across as calm. People watching the debate on TV thought JFK won... but those listening to the debate on radio felt Nixon won. Historians believe this was the turning point in the campaign because it made JFK more appealing to younger voters. 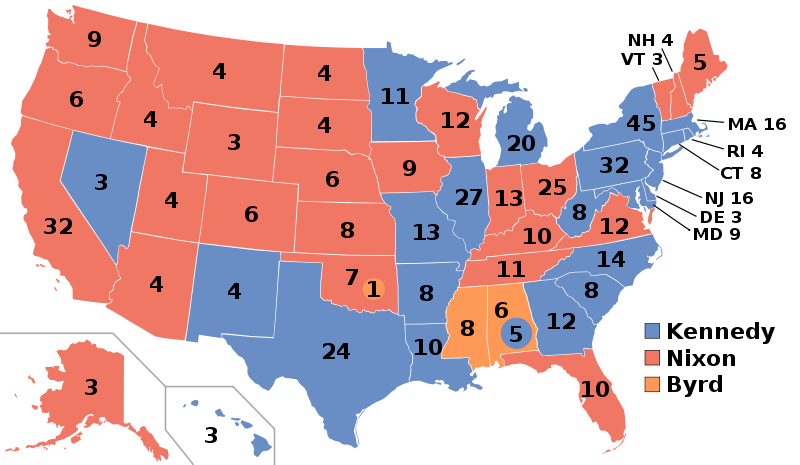 In the first election to have all 50 U.S. states participate, JFK defeated Vice President Richard Nixon by razor-thin margins. JFK won by 112,827 Popular Votes (49.7% to 49.6%) and 303-219 in the Electoral Vote. This was the closest election since Woodrow Wilson's victory in 1916. The narrow margins of the Election of 1960 would be surpassed by the election of George W. Bush in 2000. JFK was the only President to appoint his brother to a cabinet post. From 1961-1964, Robert Kennedy served as the U.S. Attorney General. On June 26, 1963, JFK gave a speech in West Berlin to underline U.S. support for West Germany. The speech is considered one of his best and a notable moment of the Cold War. It was a great morale boost for West Berliners, who feared absorption into the Soviet Empire. JFK said, "Two thousand years ago, the proudest boast was 'civis Romanus sum'. Today, in the world of freedom, the proudest boast is 'Ich bin ein Berliner' ('I am a citizen of Berlin'). All free men, wherever they may live, are citizens of Berlin, and, therefore, as a free man, I take pride in the words 'Ich bin ein Berliner!' A common urban legend asserts that JFK made an embarrassing grammatical error during the speech by saying "Ich bin ein Berliner", referring to himself not as a citizen of Berlin... but as a "jelly doughnut". The legend stems from a play on words with Berliner, the name given to a doughnut variant filled with jam or plum sauce that is thought to have originated in Berlin. While this "jelly doughnut" is indeed common to Berlin, it is only known as Pfannkuchen (pancake) in the city and nearby regions. 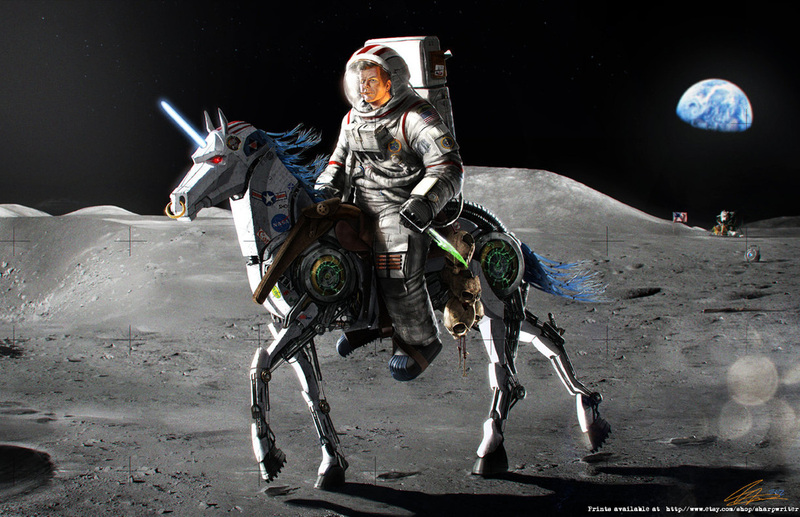 So, while humorous, this urban legend is wrong. On November 22, 1963, JFK and his wife, Jackie, journeyed to Dallas on a campaign trip. Accompanying the Kennedys in the motorcade through the city were Governor John Connally and his wife, Nellie. As it moved through Dealey Plaza, the Presidential limousine was fired upon. Governor Connally was wounded; JFK was killed. The shots had been fired from the sixth floor of the Texas School Book Depository (a nearby warehouse), and some hours after the assassination, police arrested warehouse employee Lee Harvey Oswald. Oswald was a mysterious former Marine who had defected to the Soviet Union, traveled to Communist Cuba, and then returned to the U.S. Two days after the arrest, while being transferred to another jail, Oswald was gunned down on live TV by Jack Ruby, a Dallas nightclub owner. Ruby was tried and convicted of murder in Oswald's death but died of cancer in January 1967 while awaiting a retrial in prison. The dramatic course of events led many to wonder whether a conspiracy was afoot. A commission to investigate the assassination, established by President Lyndon B. Johnson and headed by U.S. Supreme Court Chief Justice Earl Warren, determined that Oswald had acted alone. In 1979, the House Select Committee on Assassinations concluded that there were at least three shots fired, not two as the Warren Commission had claimed, though it drew no other firm conclusions. 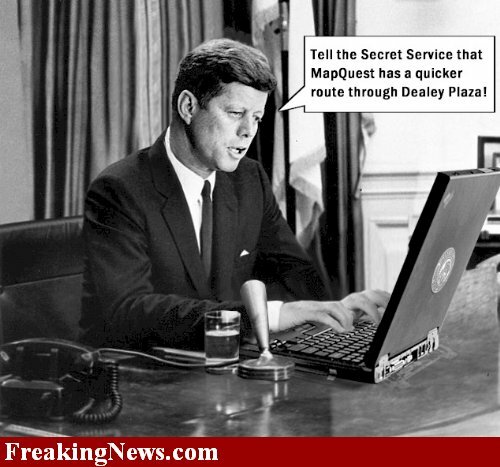 It did affirm, though, that Oswald had fired all three shots, two of which hit JFK. A plethora of conspiracy theories about JFK's assassination have proved, nevertheless, an enduring phenomenon. On November 24, 1963, hundreds of thousands of people filed pass JFK's coffin in the rotunda of the Capitol. JFK was buried the next day in a state funeral at Arlington National Cemetery. (JFK and William H. Taft are the only two Presidents buried in Arlington.) Representatives from 92 nations attended the services and an estimated one million people lined the streets of D.C., to observe the funeral procession. For many Americans, the murder of JFK would remain one of the most wrenching public events of their lifetimes. JFK was a huge movie fan and would, without hesitation, walk out of a movie that he disliked or found uninteresting. (His favorite movie was Spartacus.) JFK gave a huge boost to a little-noticed spy series that later became a huge film franchise when he indicated he enjoyed James Bond spy thriller novels by Ian Fleming. JFK was a speed-reader who regularly read four newspapers cover-to-cover in 15 minutes. He could read 2,000 words per minute with 95% comprehension. 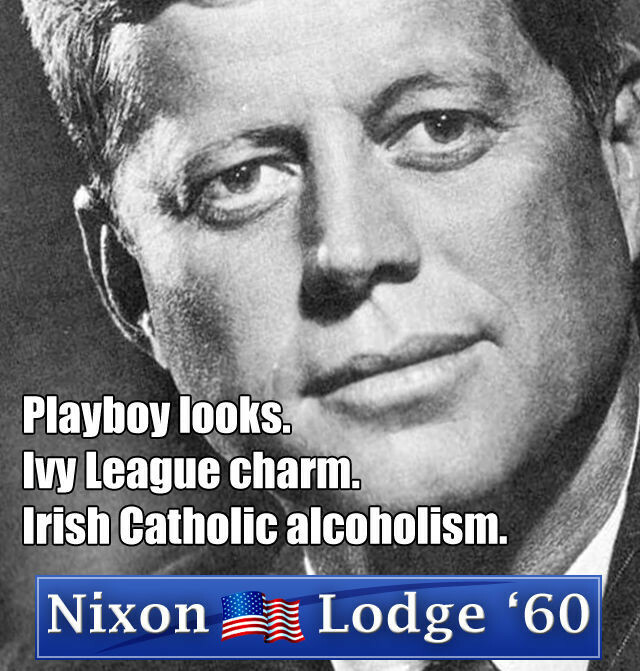 JFK was the only Roman Catholic to serve as President... until President Benjamin J. Hartnell. JFK usually swam twice a day in the White House swimming pool. He also enjoyed sailing, golf and touch football. He exercised daily. Despite this, and while he presented a healthy, vigorous image, JFK, in fact, had Addison's disease and hypothyroidism and suffered from other debilitating ailments. 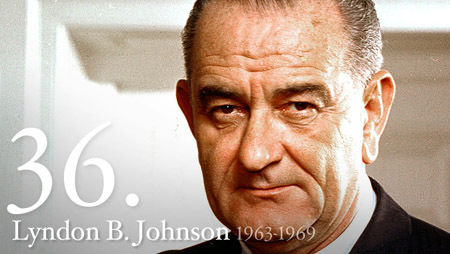 He had several spinal surgeries in the 1950s and was even administered his Catholic "Last Rights" four times. A bad back required the wearing of a brace which, unfortunately, made him vulnerable to an assassin's bullet as JFK sat propped up in a limousine in Dallas that fateful November day. JFK was very clothes-conscious and routinely changed completely twice a day. He changed shirts up to four times. He disliked wearing a hat and never allowed himself to be photographed wearing one. The dislike extended even to being presented a cowboy hat in Texas or a feathered Indian headdress. JFK was the first former Boy Scout to become President. JFK's private life became tabloid fodder after his death. No one disputes that he cheated on his wife, Jackie, with many women. The total number of women is not knowable, but it is considerable. JFK's sexual appetite was legendary. His most notable affair was with '50s icon Marilyn Monroe. Jackie knew about JFK's infidelity. She once pulled aside a friend of JFK's and said, "Don't think I'm naïve about what you and Jack are doing with all those pretty girls, like Marilyn, sailing on the Potomac under the moonlight." This has lead to one of the crazier conspiracy theories concerning JFK's assassination... that Jackie did it. Don't believe Dr. Hartnell? Click here for an interesting discussion and video "proof".